ERROR: We don't seem to be able to find information on your vehicle. 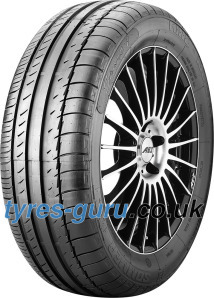 Please use our tyre-size search facility to find the right tyres for your vehicle. Thank you! Which Summer Tyres Hug the Asphalt Even When It's Wet? It's Above 7 °C ? Get Summer Tyres and Stop Wasting Petrol! In order to achieve maximized safety with improved fuel efficiency, summer tyres will be the best option for you when the temperature is above 7 °C. This is no joke. Winter tyres will wear incredibly fast in temperatures above the limit. And it's all down to the rubber compound. Cold weather tyres have a much softer rubber mixture, enabling them to stiffen in the cold temperatures just enough to maintain perfect traction. That's not the case in the warmer months. That's when these tyres start deteriorating beyond their projected wear speed. This is why you should switch between winter and summer tyres in warmer periods. Rubber mix and tread pattern of summer tyres are designated for warmer days, that’s why they’re outperforming even the all season tyres when it comes to braking distance in wet. Higher Responsiveness – You can acquire accurate steering, particularly during hard cornering. And so you will enjoy a driving experience that is highly responsive. Improved Grip – The design and structure of summer tyres enable them to facilitate drivers with an unsurpassed dry and wet grip as well as fantastic handling. Increased Longevity – Above all, these summer tyres give you optimal performance while maintaining amazing longevity and fuel efficiency. So, you will have an efficient performance for a longer time period without unnecessary expenditures. Of course, the same goes the other way around. As soon as you face the cold weather conditions you should immediately switch back to winter tyres because you don’t want to slip n’ slide down the wintry road covered in snow or ice. Rest assured, they won’t perform the same like on wet and dry roads. If you find these mentioned reasons true in your case, then waste no time and start visualising those warm weather tyres mounted on your vehicle. The fact that you're reading this text is already half job done. All that's left is to select one of the models we've hand-picked for you or to trust your instinct and select another tyre from our range. With a reputed background and proficient customer service, our store will facilitate you on every ground. We have a complete variety of summer tyres from all makes, including Dunlop, Goodride, Nankang, Nexen and a lot more. Just tell us your requirements and we will serve you with a high-quality product that will be within your budget. Additional quality assurance is the fact that all of our tyres come with the EU tyre label, so you know what you’re buying. Don't Want to Change the Tyres on Your Own? No Need to! If you don’t want to go through the trouble of fitting the tyres yourself, you can choose to have them sent to a fitting station near you (we work with around 2000 fitting partners UK-wide). Also, if you live in the mainland UK, we won’t charge you the shipping costs for orders of 2 or more tyres. We’ve covered almost all tyre sizes, therefore there’s practically no vehicle that we can’t equip with a new set of tyres. Should you notice that the tread depth of your tyres has dropped below 3mm, you should consider buying a new set as soon as possible, even though that the legal limit is set at 1.6mm. This is not just coming from us but from the manufacturers as well. Difference in braking distance is incredible, as per Continental’s test. There’s almost ten meters of difference between the 3 mm tread and the 1.6 mm one. Also, don’t forget to keep the tyre pressure a bit lower in the summer because the heat will partake in additional tyre inflation, especially if your preferred road surface is the 5PM motorway. Driving slightly under-inflated, you’re avoiding the risk of bursting your tyre and avoiding the risk of putting yourself and others in danger.